Unique design. Crinkled stitched fabric. Top heading hem 4 inches, side hem: 1 inch wide, bottom hem: 4 inch height. Feature: Soft wrinkle stitching texture luxury looks, natural luster. The curtains keep the light out and provide for optimal insulation. Fit for: patio, bedroom, theater, loft, villa, GYM room, garage, hall, office, dining room, living room, powder room, studio, entry, basement, family room, playroom, study, classroom. Good quality, blocks out 95% of the light of you have blinds underneath. very nice look. blocks the sun. I was really surprised with these curtains. The color is beautiful and the wrinkling in the material brings out the depth of the windows. They are very sturdy and insulated, material is really soft and warms the room. Looks great and fit well. Fantastic curtains. 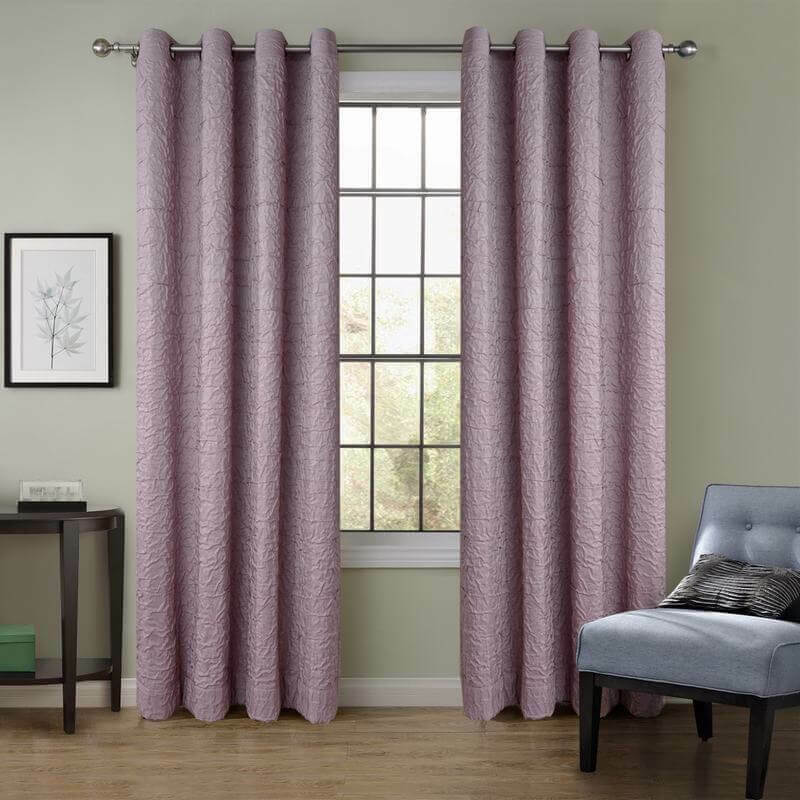 The description states the curtains are burgundy, but I would say more of a mauve color. I can't complain because they look better than if they would have been burgundy. 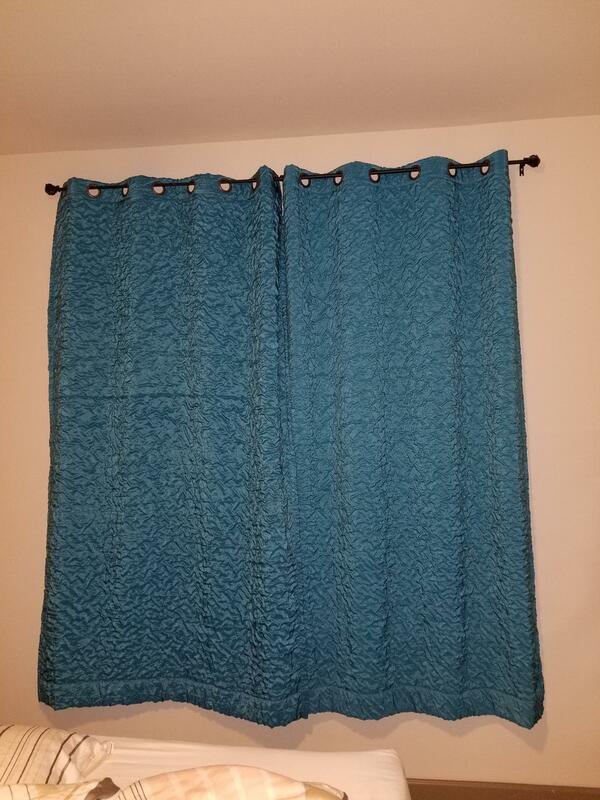 I purchased the chocolate drapes last summer and I love the texture and color. They block sun and heat quite well. We get full sun from the west, and it gets quite warm. Most recently I got the beige ones for the other side of the house. Love the texture and makes a great difference in the room. Will be getting more beige for my bay window/ sliding door. Perfect curtains. Blackout light very well, nice texture, beautiful pattern. Loving it. Very well made which I have found with each of the ChadMade brand! You will not be disappointed! Very beautiful and higher quality than found in most stores. Love them. Very high quality, very effective! blocks light out very well! looks pretty too! Very nice , just as described. If you want a black out curtain that really kills the light and looks good, look no further. I've spent some change looking for good black out curtains and have been disappointed until now. Excellent and looks good. a must buy! These look great and definitely block out the majority of light coming into the very sunny room. They are beautiful but definitely does not block out the sun as much as we need it too.